In Istanbul, city of endless and deadly intrigue, little is what it seems, including the disappearance of a ransom in gold coins. Meanwhile, Bonaparte continues his rampage across eastern Europe. Even if you're not terribly keen on dragons, this series is worth a look; best read in order, but they can stand alone (but why would you?). 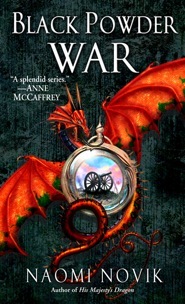 A beautiful melding of history, fantasy, war and emotion. A 5.